Our Favorite Star Wars: Star Wars Rock! Hey! You! Reading this site! Friday Diversion: Horrible Chrismas: The WWE Singers! Here at Sweep-The-Leg we are more inclined to watch “Die Hard” on Christmas over “It’s a Wonderful Life.” We’ll howl at “Christmas Vacation” and never take a second glance at the “Miracle on 34th Street.” Thus, those sweet and sugary Christmas videos that go viral every December…we couldn’t care less. Now, the truly awful ones (viral or not) – those we love. The ones crafted with love and care that you watch with abject horror and laugh all the way through (because you’re an evil person at heart)…now we’re talking! Today’s Friday Diversion…Did you ever want to see pro wrestlers sing a Christmas song? Come on. Sure you do! Wow…So happy it is subtitled. But with the bouncing ball? Are people really singing along to this? I mean, I’m as likely to shout out “I can eat enough red meat” as the next guy, but I don’t have Jazz Hands while doing it. The real problem is…it’s catchy! I’m humming it right now. I can’t get it out of my head. Someone help! Hit me in the head with a steel chair. ARGH!!! I know I told my fellow Adam that I was going to step aside and let him take all the glory for this week’s diversion, but then I remembered that motto of this blog is “Nerds Without Mercy!” So Mr. DiMuzio I’m sweeping the leg, and yes it feels good. Aside from pulling the carpet out from underneath a fellow Adam, what could make this merciless attack even sweeter? The answer to that is easy, Fraggles. When Ben Folds Five was making a video for their song “Do It Anyway,” (which is off, “The Sound of the Life of the Mind,” their first new album in 13 years) what did they do to ensure its success? I’m sure their first response was hire Anna Kendrick, but I’m sure their second or third response was Fraggles. In short, Ben Folds Five reaffirms the scientific fact that all you need to make any situation better is muppets. Interesting topic for this week. Fictional Bands. Are these made for TV bands that became great (The Monkees)? But, also the bands that released music, even though they are fake (yes, I think so). Or, is this an accounting of the greatest fictional bands, even if we never hear their music (maybe). 3) The Commitments – The movie “The Commitments” follows the beginnings of the band of the same name. How they form, the troubles and tribulations they have, etc. The movie is very good (although you need an Irish to American English dictionary to get through all the slang). The music from the movie is incredible. The music was played by the actors (including the amazing vocals by then teenager Andrew Strong) and it’s a tape I wore out in high school (which is amazing since I was listening to pretty much 90% hair metal at the time). 2) Steel Dragon – The movie “Rockstar” is many things (most of which are AWESOME) but, for me, the best thing about it…the music of Steel Dragon. Steel Dragon is the prototypical 80s Hair Metal group – loud guitar, lyrics that make no sense and giant sets with pyro at the concerts. They are always in excess. The soundtrack to this movie contained a handful of Steel Dragon songs (all from the movie) that all found a permanent home on my iPod. Musically, I never evolved from the 80s, and Steel Dragon fits in perfectly. Okay, short & sweet from me today because I have to go run two hundred miles. But first I must give props to Anthony for including Dingoes Ate My Baby. You’re my hero. 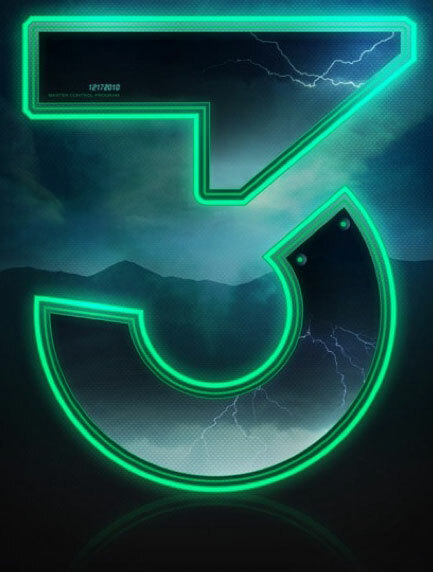 #3 Stillwater. 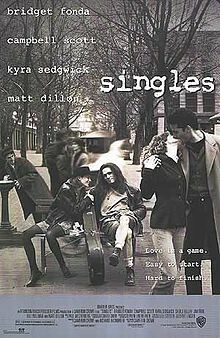 Cameron Crowe, you slay me. You are second only to Joss in your ability to rip emotions from my core. Almost Famous…a perfect film. A perfect fictional band. One of my favorite scenes in any movie. Ever. “You are home.” Indeed. #2 Dr. Teeth and the Electric Mayhem. Who??? Oh, you mean that Muppets band that was cooler than 99% of most real-life bands? Yeah, I do. This clip includes the entire Muppets gang, but it’s still awesome. You know ’em, you love ’em, you wish they actually existed! While it’s possible that I know nothing about Hair Metal, I do know plenty of imaginary bands! 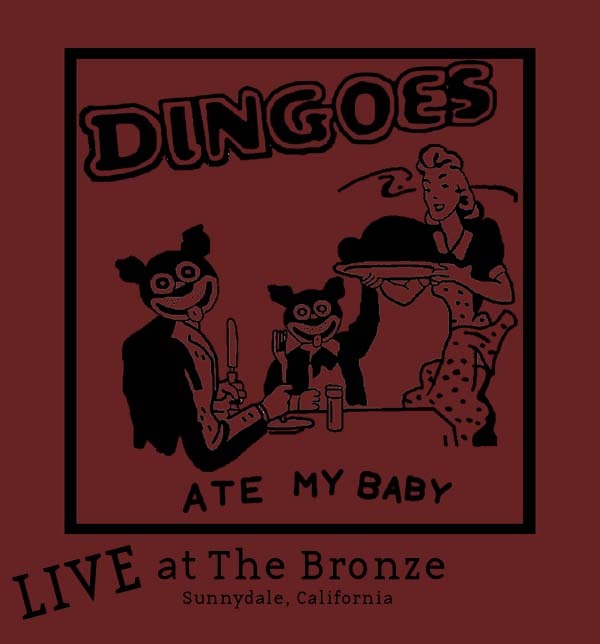 3) Dingoes Ate My Baby might have only played a handful of times in “Buffy the Vampire Slayer,” but they get a bye here; because how many bands have a lead guitarist who turns into a werewolf once a month? Oz was the wolfy badboy (back when wolfy badboy meant gawky redheaded nerd rather than oiled-up shirtless dude) and paramour of Willow. One of the best characters on the show, the fact that he was in a band was almost a given. Besides, they have one of the greatest band names of all time (and darkly ironic, considering Oz was always one bad night away from making it literal).